Placental tissues are frequently utilized by scientists studying pregnancy and reproduction and in diverse fields including immunology, stem cell research, genetics, cancer research, and tissue engineering, as well as by clinicians in many therapies. Though the utilization of the human placenta in science and medicine has benefitted many people, little is known about public perspectives of this phenomenon. This review addresses placental donation, collection, and utilization in science and medicine, focusing on public perspectives. Cultural values and traditions, ethical paradigms and concerns, public understandings of science and medicine, and political considerations may impact perceptions of the utilization of the placenta in science and medicine, but systematic study is lacking. It is argued that knowledge of public views gained from empirical investigation may underpin the development of collection protocols and research projects that are more responsive to public will, spur more extensive utilization in science and medicine of this unique organ, and/or aid in the realization of the mobilization of knowledge about the placenta for clinical and educational ends. New avenues for research on public perspectives of the placenta are proposed. I wrote this article to point to the lack of research on public perspectives of the placenta, address the implications of this gap, and call for more research attention. The article serves as a backdrop for one of my current collaborative studies, which assesses women’s perspectives of donating the placenta to science and medicine in Campinas, Brazil. I would like to thank the editors of Placenta and their anonymous reviewers. I was impressed by the process, feedback, and their willingness to consider publishing the work of a social scientist in a scientific journal. I am very interested to hear comments and in particular would like to know of the perspectives of women who have given birth, women who have donated their placentas or been asked to donate, and scientists who study the organ. What is the meaning of the placenta for you? What do you think about the use of placentas in scientific research and medicine? I am very pleased to announce that our project in Brazil, “Survey of Women’s Perspectives on Placental Donation in Campinas, Brazil / Opinião de mulheres a respeito da doação de placenta para pesquisa em Campinas-SP, Brasil,” is now being funded by the Sao Paulo Research Foundation (FAPESP) in addition to the fellowship support I received from DFAIT and CAPES. This new grant greatly enhances our ability to collect data and to publish the results in a timely manner. I believe this new grant supports the claim that Brazil is increasingly supporting research and has funds available. I hope I have the privilege of doing more research in Brazil in the future! 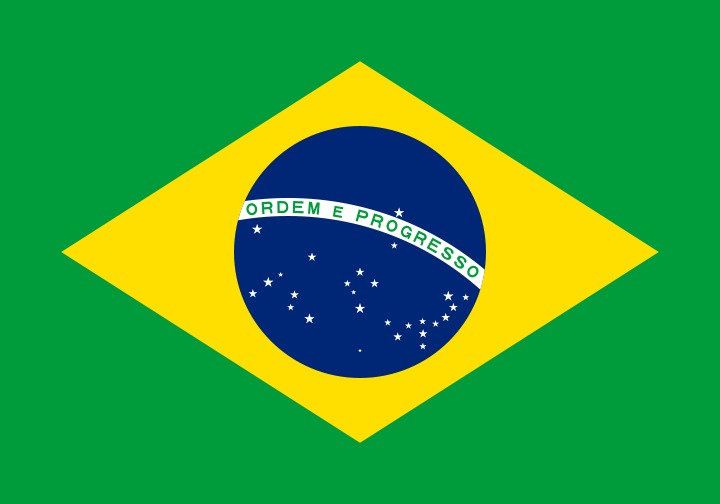 Tomorrow I le ave Brazil to go home to Canada, a parting that will be bittersweet. Brazil was a pleasant surprise in my life. I never could have guessed I would be living in Brazil for 5 months in the last year of my PhD. It is true that Brazil did not seem to come at an ideal time. I was just beginning to write my dissertation when I decided to come to Brazil. I had to come up with a brand new research project that could be conducted in a few months in a country I knew little about. But then again, Brazil came at the perfect time, because I now feel more ready than ever to write a dissertation about the science of the placenta. I’d thought my study of the science of the placenta was done when I finished my fieldwork. But now I realize it had only begun and will go on, even after the dissertation is gathering dust. That is the nature of all knowledge: always a production, in production. There will always be more to find out – about the placenta, and anything else worth studying. I had the opportunity to accomplish a lot in Brazil. Along with my collaborators, we undertook a large-sample questionnaire study in a very busy maternity ward. We weathered many challenges, and succesfully navigated the waters of Brazilian bureaucracy at the government, bank, and university. I delivered 6 lectures at UNICAMP, the Universidade Federal de Alfenas, the Universidade Federal de Goiás, and the Pontifícia Universidade Católica de Goiás. I gave a lecture to a high school class about the culture and geography of Canada. I spent time tutoring English and editing manuscripts and posters. I attended a Portuguese class and did a talk about Canada entirely in (terrible, but working) Portuguese. I took the chance to do some travelling to Rio de Janeiro and Sao Paulo. I went white water rafting with new friends. I even enrolled in a capoeria class (but let’s just say that I didn’t exactly become the skilled capoeirista I’d envisioned). I so much enjoyed tasting the many wonderful fruits available in Brazil that I had never even heard of before. I had the chance to pick the most beautiful and gigantic avocados straight from the tree. I danced a bit of samba. Principally and with as much earnestness as can possibly be mustered, I want to relay what a privilege it has been to have been guided and supported by Dr. Maria José Duarte Osis, Dr. José Guilherme Cecatti, Dr. Aureo T. Yamada, Dr. B. Anne Croy, Dr. Myra J. Hird, and everyone at the Centro de Pesquisas em Saúde Reprodutiva de Campinas (CEMICAMP) and the Centro de Antenção Integral à Saúde da Mulher (CAISM). What a pleasure it has been to collaborate with Simony Lira do Nascimento, Suelene Coelho, and Ana Carolina Godoy on the project. I am lucky to be able to consider these people my colleagues and friends. I hope our work together continues into the future. *Many thanks to Foreign Affairs and International Trade Canada (DFAIT) and Coordenação de Aperfeiçoamento de Pessoal de Nível Superior (CAPES), Brazil, for funding the project. I have been living in Brazil for nearly 5 months studying perspectives on the placenta and have yet to hear of this joke. Needless to say I was excited and intrigued by the bit of information and took the opportunity, perhaps as a true ethnographer should, to make a detailed note of the observation… in the middle of my lecture. Everyone laughed and it was a really wonderful moment of sharing knowledge and research. Thank you for the opportunity, Dr. Simone! Update: Here is a little news item about my lecture at PUC (in Portuguese). Isso é uma notícia sobre a palestra no PUC. I wrote this writeup at the request of my supervisor to promote the work I am doing on exchange in Brazil. I am passionate about and committed to research that moves between, beyond, and across disciplinary boundaries, particularly those that seem, to me, to be the most fortified: ones that divide the sciences from the social sciences. In my case, I work to traverse divides between sociology and reproductive biology, a project that has brought me, much to my surprise, to Campinas, Sao Paulo, Brazil. As a PhD candidate in the Department of Sociology at Queen’s University, I am currently participating in a research exchange at the Universidade Estadual de Campinas (UNICAMP). Having arrived over one month ago, I can attest to the richness of the invaluable experiences I have gained here in Brazil and am pleased to report on the exciting research I am conducting. Dr. B. Anne Croy, Queen’s biologist and Canada Research Chair, Dr. Aureo Yamada, her longtime collaborator and UNICAMP biologist, and co-applicants and Queen’s researchers Dr. Charles Graham, Dr. Chandrakant Tayade, Dr. Myra J. Hird, and Dr. Graeme Smith, received a grant to create a research exchange project for their PhD students from a program established last year by the Canadian and Brazilian governments and administered by Foreign Affairs and International Trade Canada (DFAIT) and Coordenação de Aperfeiçoamento de Pessoal de Nível Superior (CAPES). Though focusing primarily on reproductive sciences and especially on using mouse models to study pregnancy, Dr. Croy and Dr. Yamada invited me, on the suggestion of my supervisor Dr. Myra J. Hird in the Department of Sociology, to participate in the exchange. When I eagerly agreed, they asked me to plan a research project for a 6 month stay in Brazil. As a sociologist I study science, and specifically, I study placenta science. It may be surprising to learn that the placenta has a prolific life in science. Of course, the placenta is studied extensively in reproductive biology, since it is central to pregnancy and can be highly determinative of pregnancy outcomes. Yet the placenta is also convenient to study in fields beyond reproductive biology, because the tissue is large, widely available, often considered “waste,” and has many interesting and diverse properties. It has a wide variety of scientific applications in many fields including immunology, cancer research, toxicology, and tissue engineering. Because of this, placentas are regularly collected in hospitals around the world and utilized in scientific experiments. All of my research is concerned with the practices of placental donation, collection, and use in science. When asked to participate in the exchange, I had just completed the fieldwork for my ethnographic study of placenta science and scientists. With financial support from SSHRC, Queen’s University, and the Department of Sociology’s Blakely Student Initiatives Fund, I had the privilege of conducting fieldwork, including observation and interviewing, in 4 countries with 31 participants involved in placenta science. These participants included leading, senior, and early career scientists, graduate students, laboratory technicians, and hospital staff from different 10 countries. I sought to ascertain the social dynamics of this diverse field and to explore the relationship between it and society at large. During interviews, placenta scientists often reported believing that, with few exceptions, women generally do not care about the fate of their placenta once it is delivered. In my analysis, I noted that this belief was used to reconcile or qualify the ethical dilemmas they experienced in working with this organ. However, given how pervasive the practice is, neither scientific nor social scientific research has adequately established pregnant and post-partum women’s level of support for placental collection and research, nor how such support might vary in different cultural contexts. I had a vague goal of developing such a study before being invited to Brazil, but the exchange presented a funded opportunity to refine my ideas and actualize a novel and exciting research project. Brazil provides a unique and important case through which to explore women’s opinions of placental donation and use in science, as religious views, indigenous cultures, socio-economic disparities, public understandings of science, cultural values, legal structures, and familial structures may significantly shape women’s views of placental donation. I proposed the study and it was quickly accepted as part of larger and ongoing research work on women and children’s health in Brazil. 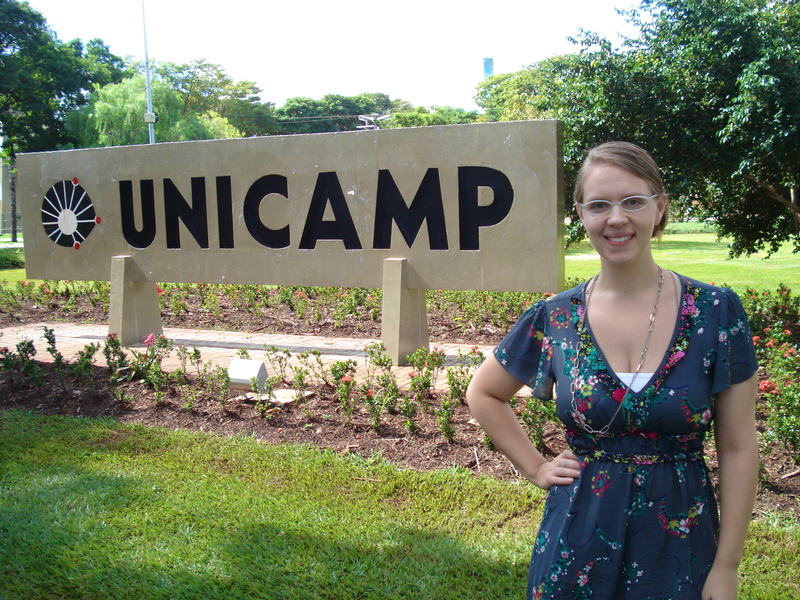 I was welcomed as a research team member at the Centro de Pesquisas Materno-Infantis de Campinas (CEMICAMP), a research centre at UNICAMP which focuses on sexual and reproductive health and rights. It works closely in interdisciplinary collaboration with the Centro de Atenção Integral à Saúde da Mulher (CAISM), the women’s hospital here at UNICAMP, where I was also welcomed as an associate. My mentors and collaborators include Dr. Maria José Duarte Osis, a CEMICAMP researcher, Dr. José Guilherme Cecatti, an obstetrician-gynecologist, graduate coordinator, and Director of Maternity Services at CAISM, and Simony Lira, a graduate student at CAISM. We are conducting a survey to be analyzed quantitatively and interviews to be analyzed qualitatively with 384 and 10-15 women, respectively, who have given birth at CAISM, asking their opinions of and experiences with placental donation. We believe results of this research will lead to important and interesting insights regarding the relationship between science, medicine, and publics, as well as open avenues for further research such as cross-cultural, comparative studies. It is my hope that this research will not only illuminate topics of sociological and scientific interests but will also, in assessing one indicator of the level of support for scientific research on the placenta, ultimately benefit the health and wellbeing of women and children. Brazil is a wonderful place in which to live and conduct research. I was immediately impressed with the welcome and level of support I received from countless new friends. I was very uncertain my first weeks in Brazil as the culture, language, climate, and city were unfamiliar to me, and indeed, I missed home. However, rarely did I have reason to worry. I have been welcomed at many parties, other social functions, and in various laboratories. I have received unlimited help in navigating the admittedly thick bureaucracy here in Brazil. Much to my delight, I have the opportunity to learn Portuguese in a language course at UNICAMP, complemented by the help of my colleagues and friends who recognize the value in developing an international literacy and collaborative network. Finally, I’m learning capoeira, a distinctively Brazilian martial art that incorporates rhythmic music and dance. This is just one example of the unique cultural experience available in Brazil. In Portuguese, intercambios means exchanges. Each day I am in Brazil, I have the opportunity to exchange: to move between, beyond, and across not only universities, but cultures, languages, and disciplines. It is a privilege.